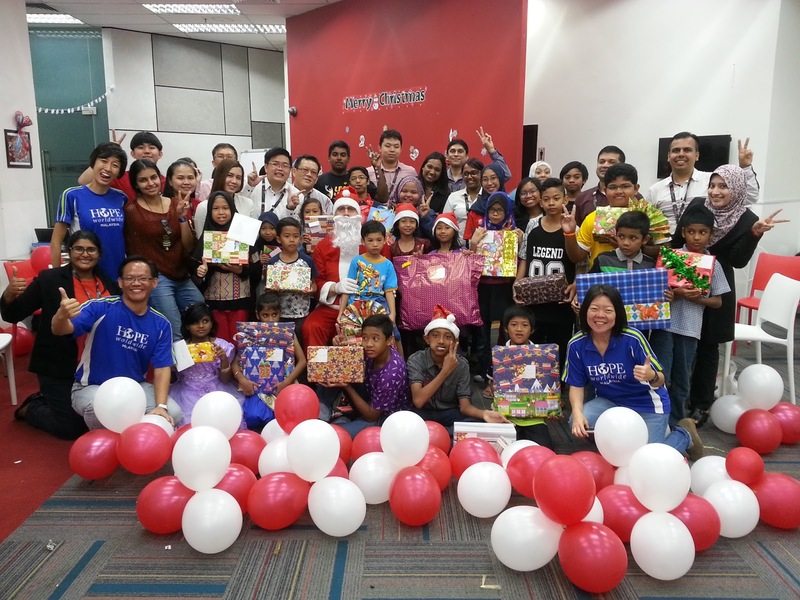 INTI KL Volunteer Staff as Secret Santa for 24 Children and Youths! 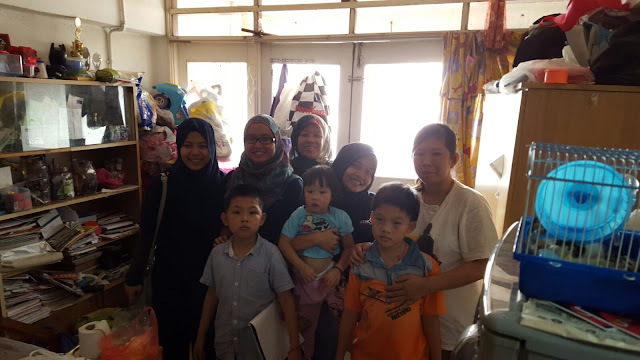 INTI International College Kuala Lumpur volunteer staff fulfill the wish list of 24 kids and youths! Yesterday was a Jolly Day for these kids and youths as they were invited to have a pre Christmas Celebration at INTI International College Kuala Lumpur, together with their "Secret Santa", the volunteer staff who fulfill their wish lists. 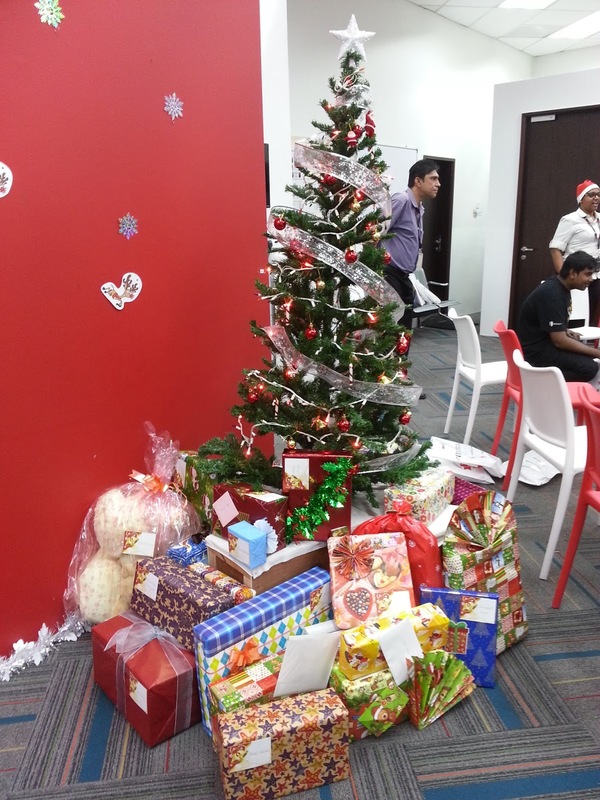 Besides the Secret Santa Mission, the Volunteer Staff also organizing loads of games and activities for kids, to have a fun-filled day! 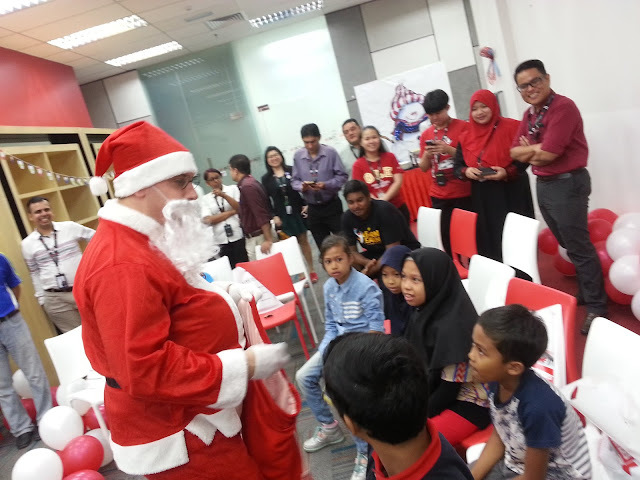 While the kids and the staff were singing carols, we had a surprise Santa Claus Appearance who was also a Volunteer Staff from INTI. He brought so much joy and laughter to everyone, especially the kids. Finally, the most anticipating moment of the day, all kids and youths receive their gifts which were bought by their Secret Santas. The kids beaming with excitement and joy while opening up their Christmas presents. 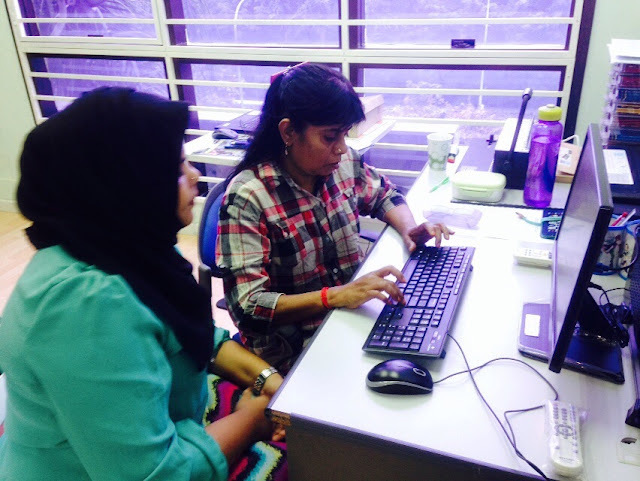 Thanks to INTI International College Kuala Lumpur for your CSR Initiatives and we look forward for more working opportunities in the coming future. 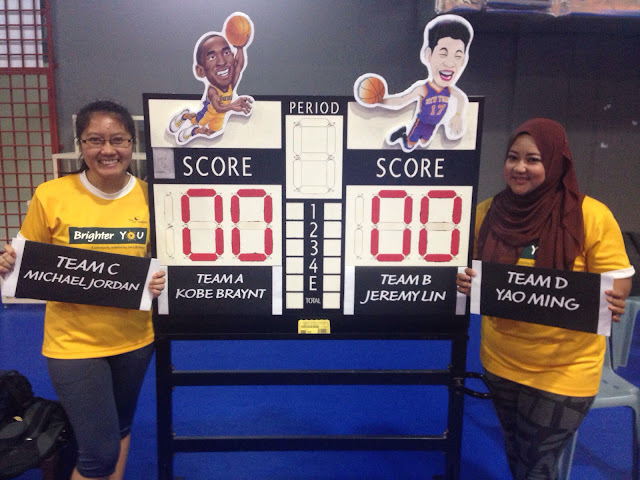 The Brighter YOU Season 2 Basketball Tournament is finally here at Hoops Station Basketball Arena, Summit USJ! 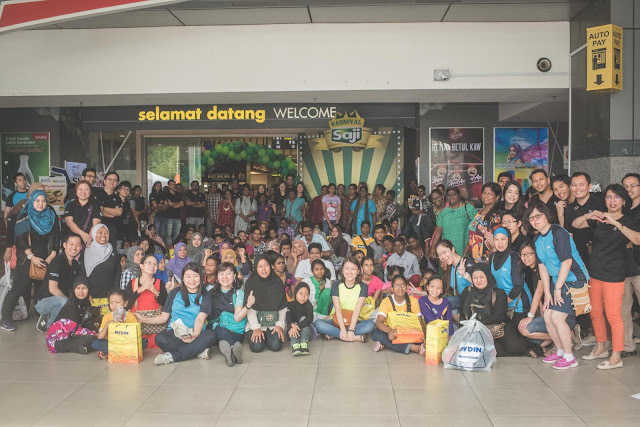 Thanks to Sun Life Malaysia for your continuous support in making this event so meaningful for the youths by educating them the importance of cultivating a healthy lifestyle. Most of the youths were part of the basketball training since 2014 when the program just established. 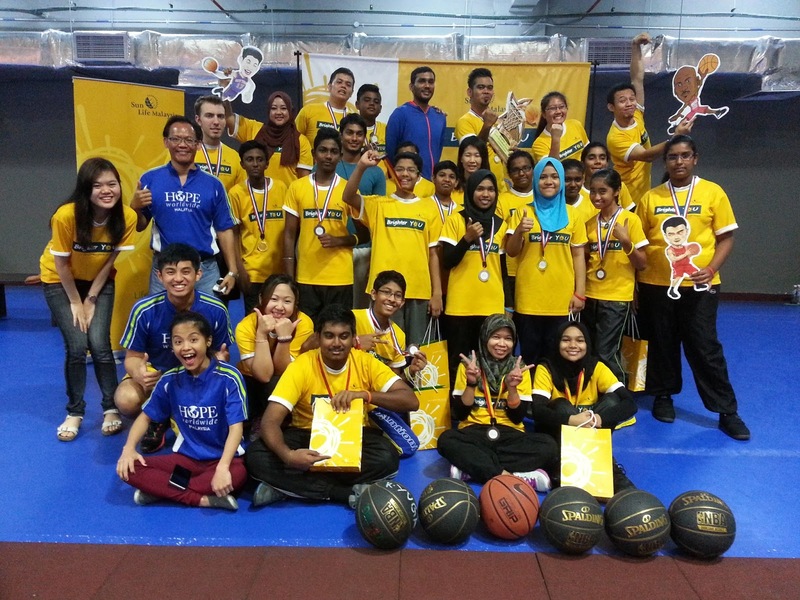 We can see the transformation of these youths, since the first time they joined the training in 2014, now they become a group of joyful and energetic youths, embracing the benefits of cultivating healthy lifestyle, building meaningful friendships among themselves and also the tireless volunteers from Sun Life Malaysia, who were there for them through every training session. The tournament is a like a graduation ceremony for these Youths, practicing the skills they had learned throughout the year from their awesome coaches. 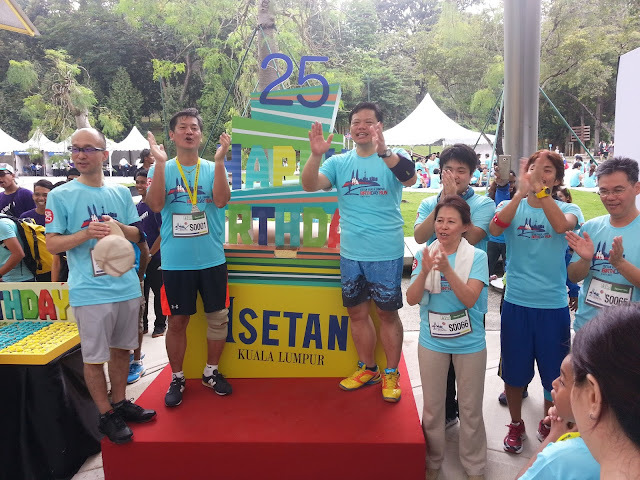 Together with the youths, are the volunteer staff from Sun Life Malaysia. We had 4 teams in total, competing to become the champion team! We eagerly look forward for more working opportunities in empowering our community towards a healthy lifestyle for a Brighter Future! KidZania "Learn and Earn" Youth Development Program empowered a total 23 youths and a Graduation Ceremony was held to mark the completion of the Program and at the same time, to acknowledge the participants' commitment and efforts, and celebrate the progress and learning curve they have achieved throughout the 20-Day program. Since 23 November to 18 December, KidZania initiated a 20-Day Youth Development Program with its theme "Learn and Earn" by empowering a group of Youths. 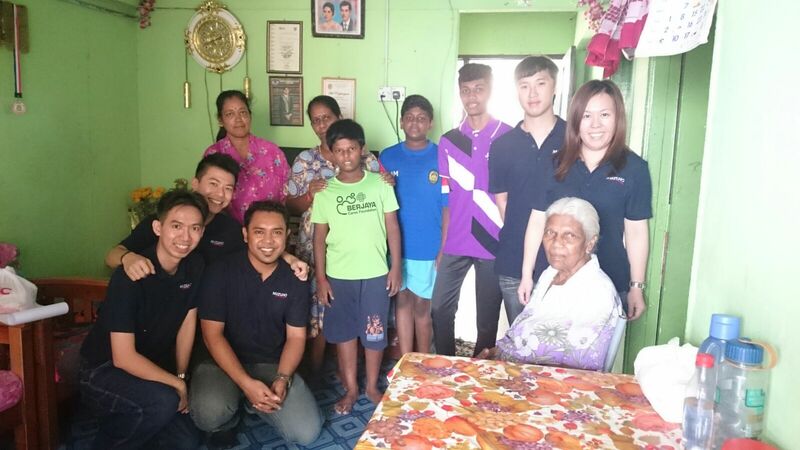 Among the youths who attended the #LearnandEarn Youth Development Program, 3 of them are from HOPE worldwide Malaysia, they are Dinesh, Amirul and Janaaki. Through the 20-Day Youth Development Program, 3 of them had gained invaluable experience. It was heartwarming to see 3 of them standing to share their gratitude and thoughts during the graduation ceremony, where it brought so much of tears among them as they shared their feelings. 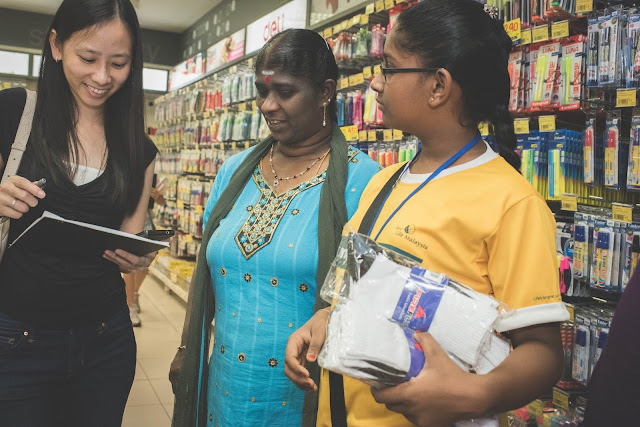 KidZania is indeed a very popular place among the children, for them to gain "working experience" in different working sectors. 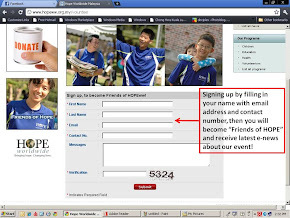 Now, KidZania would like to use the same method by empowering the youths. We wanna thank KidZania for the great heart and vision they had by having the Youth Development Program to empower the Youths. 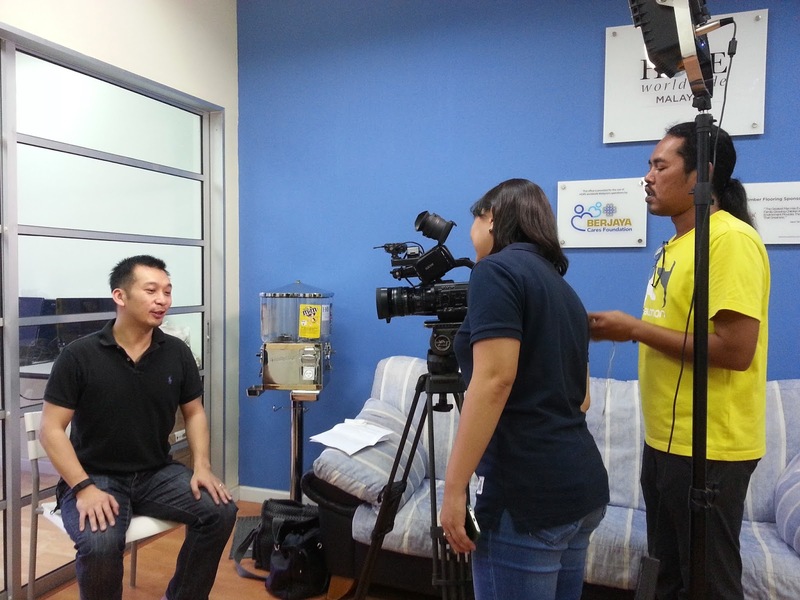 We look forward for this program to be a sustainable one in order to continuously create social impact. 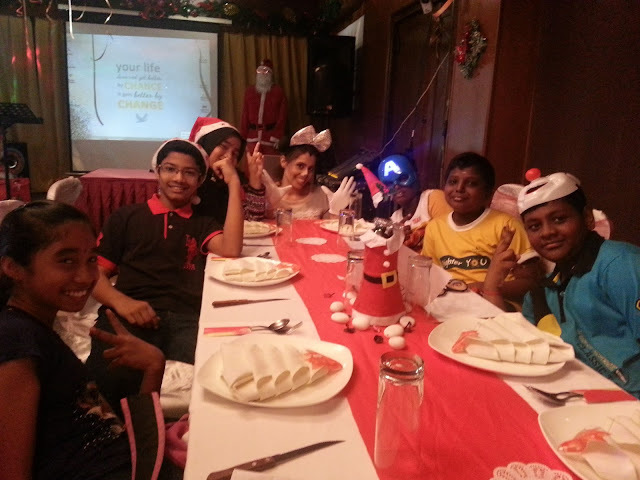 Thanks to REAL Education Group for inviting us and total of 12 kids to the heartwarming Christmas Luncheon at Windmill Restaurant​. 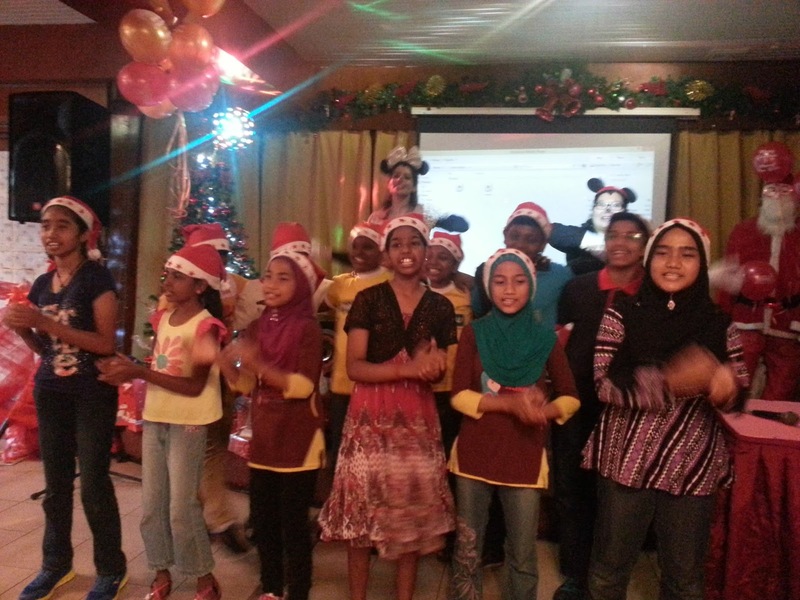 The kids also get to perform carols to all fellow staff. Thanks to the staff for your kindness and thoughtfulness for organizing the activities for the kids and also the sumptuous meal! 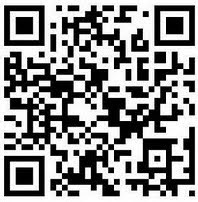 We look forward for more working opportunities in coming years! 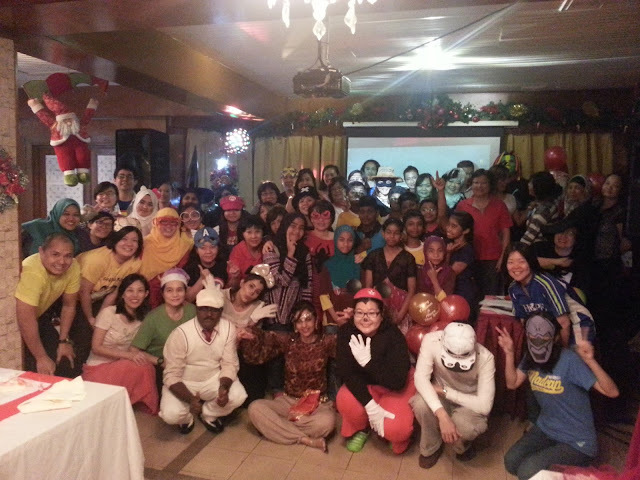 Thanks to Sun Life Malaysia for the wonderfully organized Year-End Party at T-Garden Cooking School. 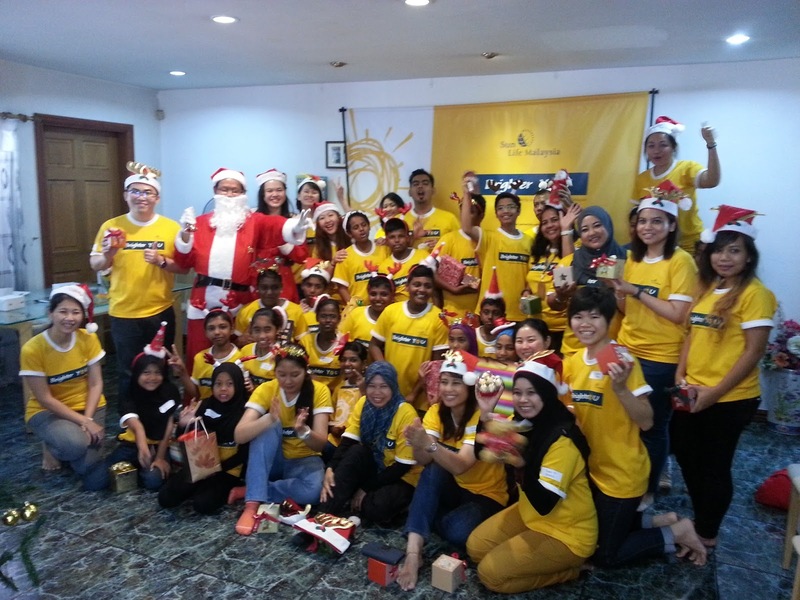 This year, 20 volunteers from Sun Life Malaysia organized a Jolly Year-End Party with a session of baking and bonding with our 20 kids. 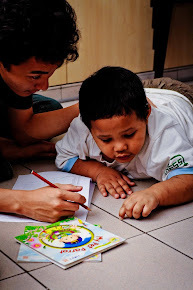 Once again, it was a fun-filled day with the kids and volunteers pairing up to complete the tasks together. 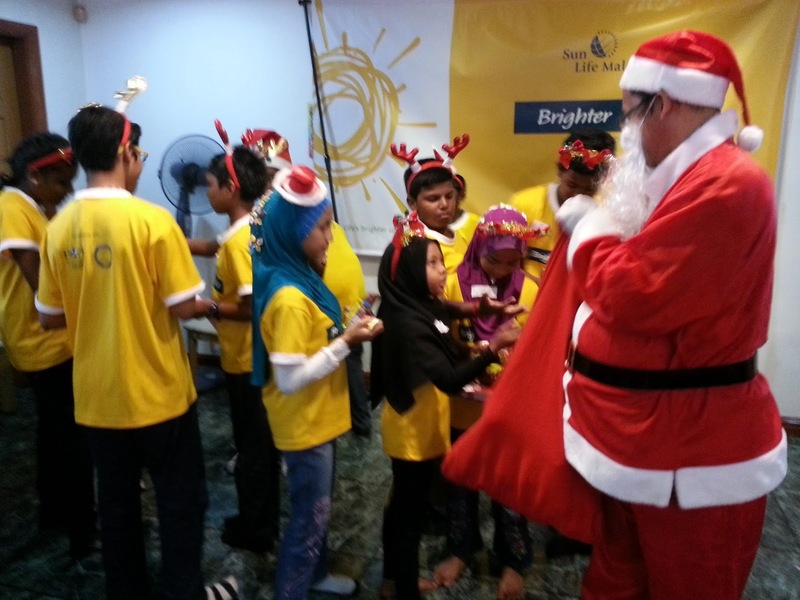 To thank the Volunteers, our kids also sang a few carols with a surprise Santa Claus appearance! After a fun-filled session of mini cupcakes baking, and giant cupcake decoration, best 3 groups are picked and awarded. The kids heightern the atmosphere with Christmas carols to serenade volunteers who in turn reciprocate with Christmas gifts. Thanks to Sun Life Malaysia for another successful Brighter YOU CR Project! 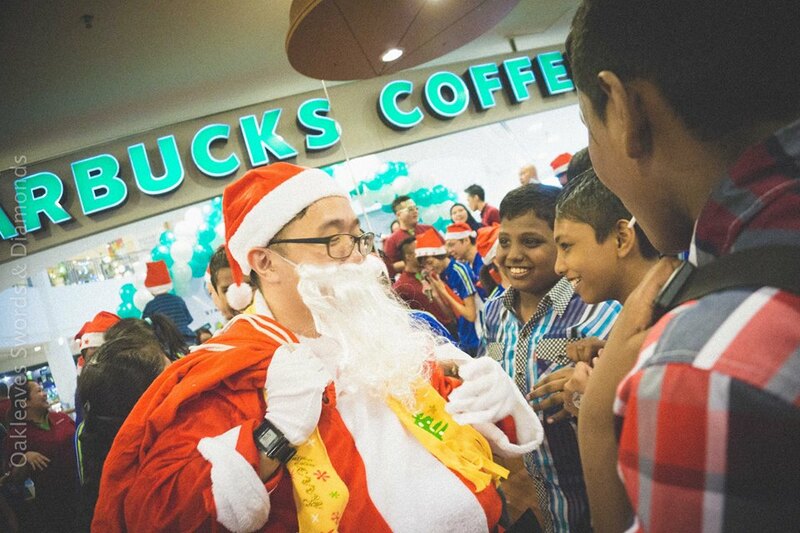 Starbucks Marks its 17th Anniversary with a Spirit of VOLUNTEERISM! 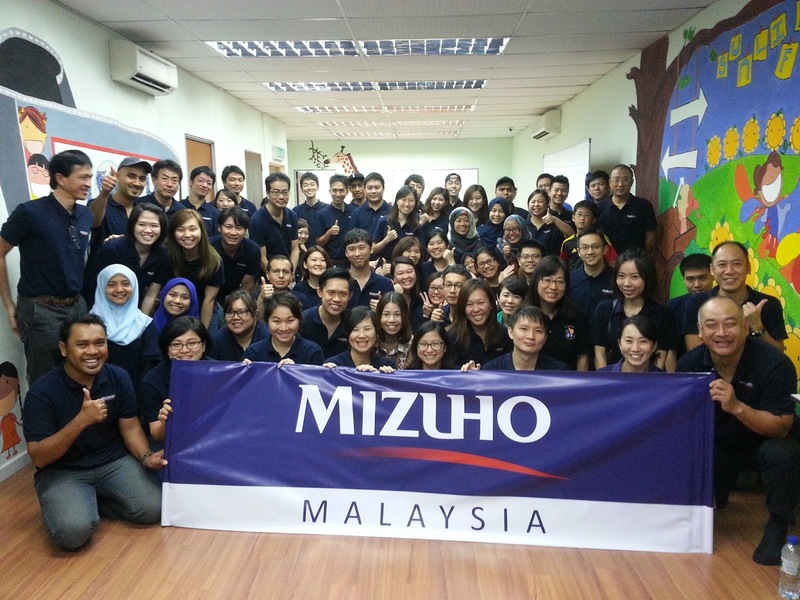 ALL IN THE SPIRIT OF VOLUNTEERISM! December this year is a month of celebration, as we had just celebrated our 15th Anniversary, last Saturday, HOPE worldwide Malaysia, together with other NGOs were invited to be a part of Starbucks Malaysia 17th Anniversary. To make this celebration a memorable one, Starbucks invited their loyal customer to be the VOLUNTEERS of the Day, as part of the Crew Team for this event at Bangsar Village II. 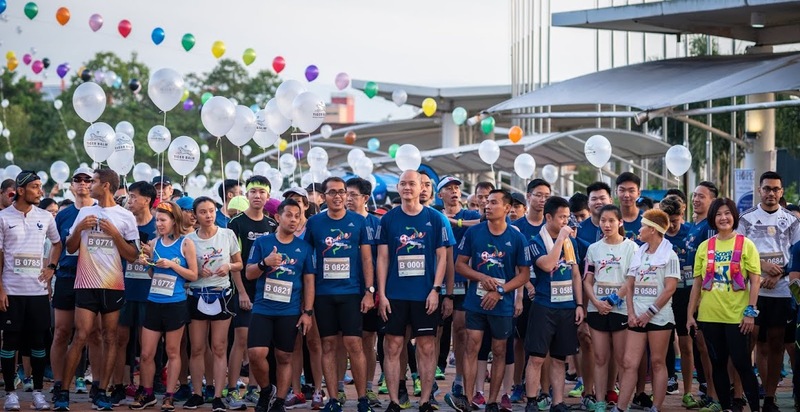 Hats off to Starbucks Malaysia making the extra efforts, reaching out to their loyal customers, inviting them to be the event's Volunteer Crew via social media platform! 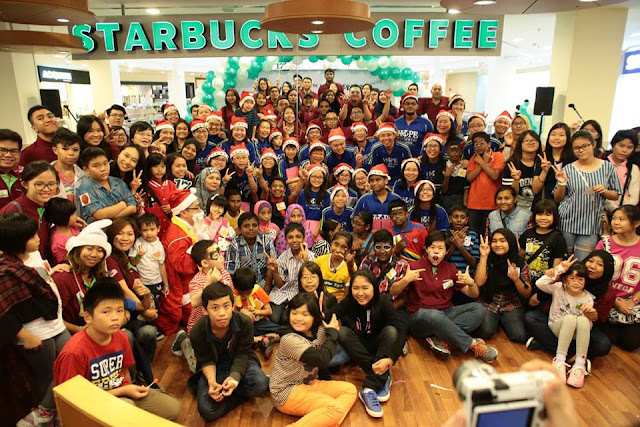 Starbucks has indeed bring the Spirit of Volunteerism higher by building closer and deeper friendships with their customers. 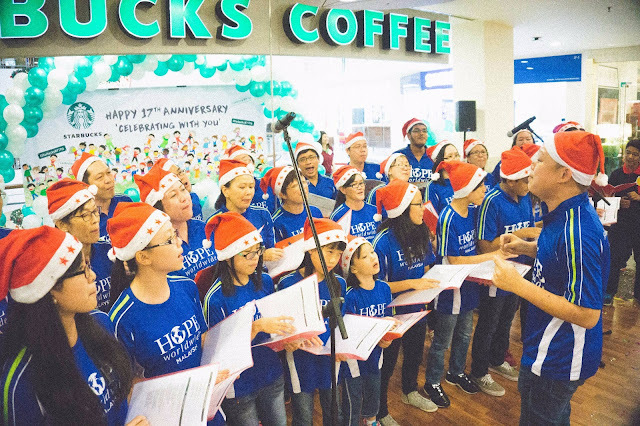 While from HOPE worldwide Malaysia, we assembled total 30 volunteers, age from as young as 7 years old, to form a Caroling Team, to dedicate carols for Starbucks and all of the customers on that day, wishing everyone Merry Christmas in Advance! It is like a Christmas Tradition we have with Starbucks, and was indeed inspiring to see all 30 volunteers singing carols so cheerfully and loudy together, which among them were there to sing carols for Starbucks since the very first time in 2004. And some of them right now were married with kids, they too brought along their kids, as the new carolers! 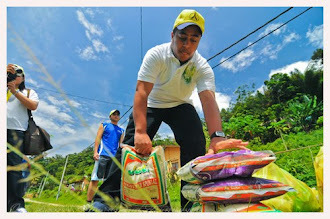 The Spirit of Volunteerism passed on to the next generations. From on stage to off stage, besides the Carolers, we have our volunteer to dress up as Santa Claus to cheer up the chidlren and the crowd! During the event, Kids and Youths from HOPE worldwide Malaysia together with the children from Rumah Charis and other Homes were invited to the Party! The Volunteers from Starbucks were there conducting games and several activities like Face Painting for the kids. Starbucks Malaysia, thank you so much for being a very loyal and faithful friend to us! Once again, Happy 17th Anniversary to you! Sun Life Malaysia makes our School Holidays even more Colorful and Brighter! 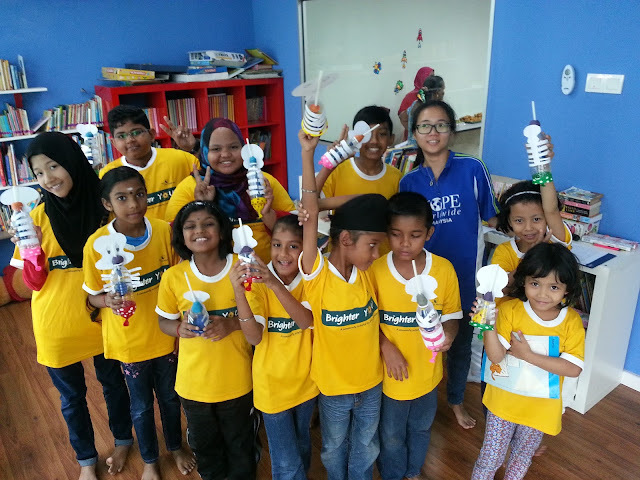 The first School Holiday Activity we had with Sun Life Malaysia this year is the Brighter YOU Drawing Competition. We were so thankful to Sun Life Malaysia for your thoughtfulness as preparing 3 prizes to reward the Top 3 Best Art Work (Champion, 1st & 2nd Runner Ups). The 1st & 2nd Runner Ups will get a Smart Watch and Ferrero Rocher Chocolate while the Grand Prize is a G-Shock Watch with Ferrero Rocher Chocolate. 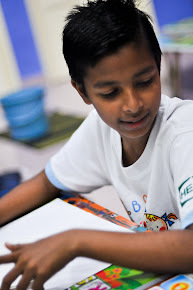 Each kid was paired up with One Volunteer who will mentor them in completing their art work of the day. 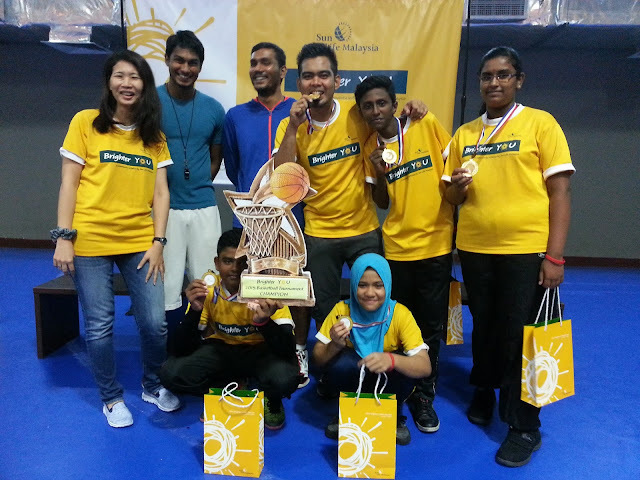 Each volunteer played an utmost important role in helping their kid to compete to be the winners. End of the Day, Sun Life Malaysia hosted a lunch for all of us! 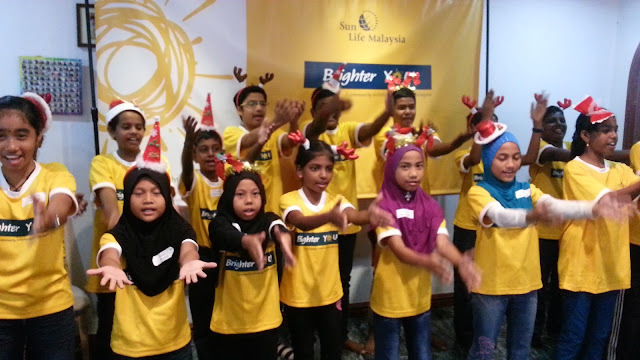 Looking forward for the upcoming Brighter YOU programs in December! 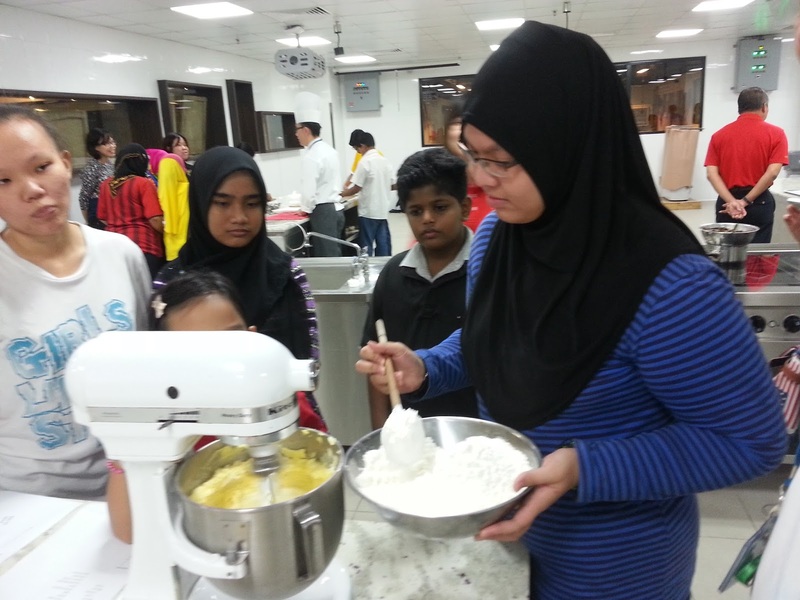 It was a jolly Wednesday as Malayan Flour Mills volunteers brought 20 of our kids and youths to KDU University College Culinary Arts Department to experience a 1-Day Baking Workshop. So everyone was a Pastry Chef of the Day. We really wanna thank and appreciate the thoughtfulness and arrangements by Malayan Flour Mills volunteers, the kids enjoyed themselves so much. 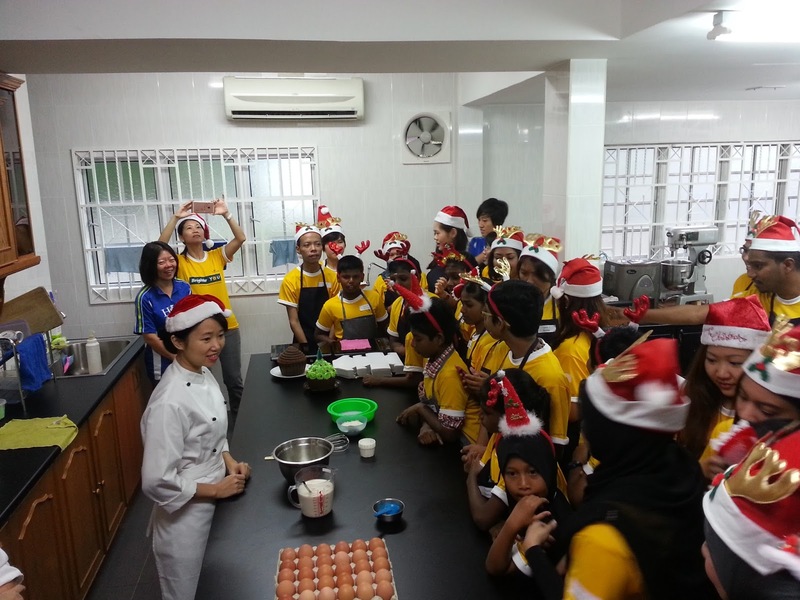 A Big Thank to Chef Izham and the rest of the chefs who were there patiently guiding the kids in baking the Christmas Butter Cookies, Chocolate Cookies and Gingerbread Man Cookies. 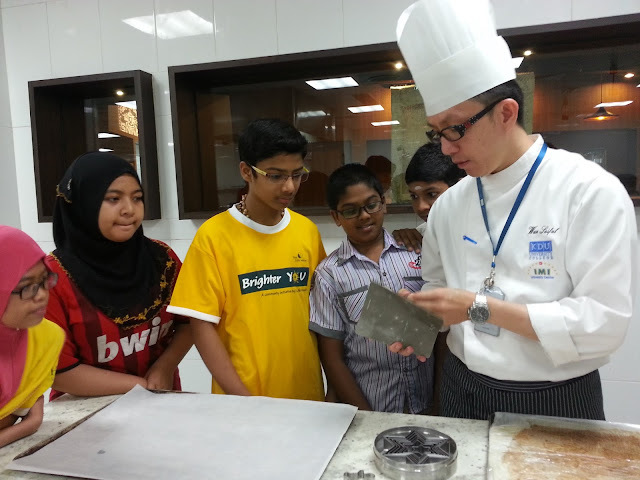 Thanks to Chef Izham for making us sumptuously delicious Scramble Eggs to eat with the bread by end of the workshop. 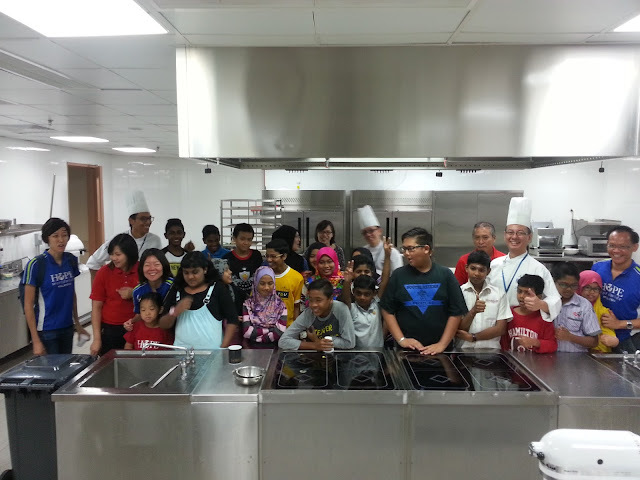 The kids had so much fun and inspiration, especially towards those who have had a passion in pursuing a career in Culinary Arts. 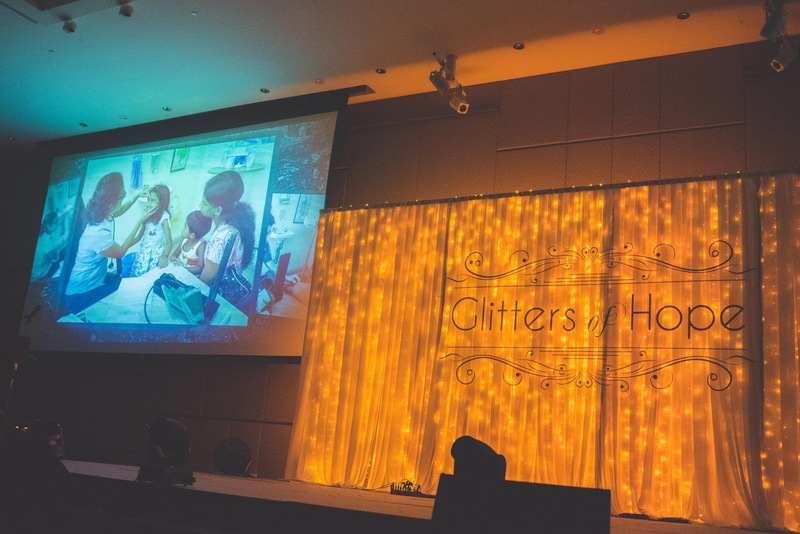 Last Sunday, HOPE worldwide Malaysia celebrated our 15th Anniversary with over 500 donors and volunteers at the “Glitters of Hope” Charity Gala which was held at DoubleTree by Hilton Kuala Lumpur. 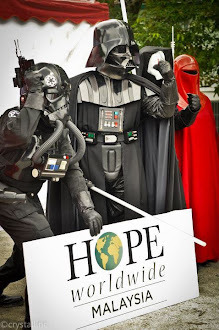 The event was entirely organized by the volunteers of HOPE worldwide Malaysia, some of them were volunteers since the day HOPE worldwide Malaysia was established. 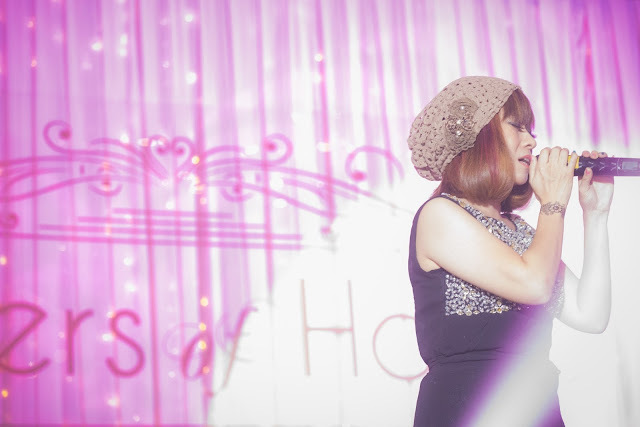 Even the on stage performances were delivered by volunteers. 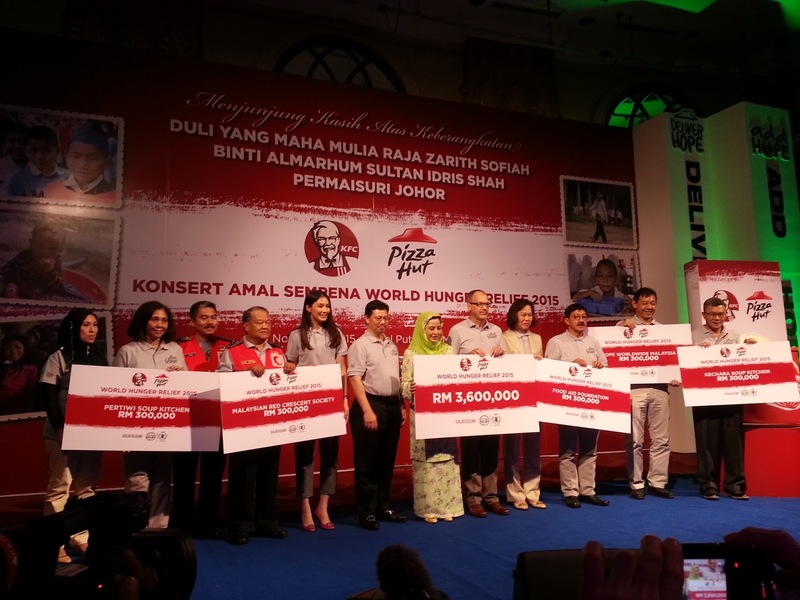 Besides the volunteers, the Corporate and Individual Donors are the guests of the evening too. 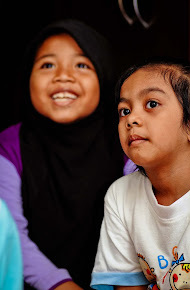 Together, we shared joyous moment in celebrating the milestone of impacting more than 75,000 community members in Malaysia through community programs that focused on Health & Medical, Food & Nutrition and Education & Empowerment. The event kicked started with a 15-Year Milestone Video, showing the list of Community Programs that were established based on the core focus on Health & Medical, Food & Nutrition and Education & Empowerment. Right after the video, we have our celebrity host of the night, Mr. Terrence Dass, who is also a volunteer of HOPE worldwide Malaysia since 2006. 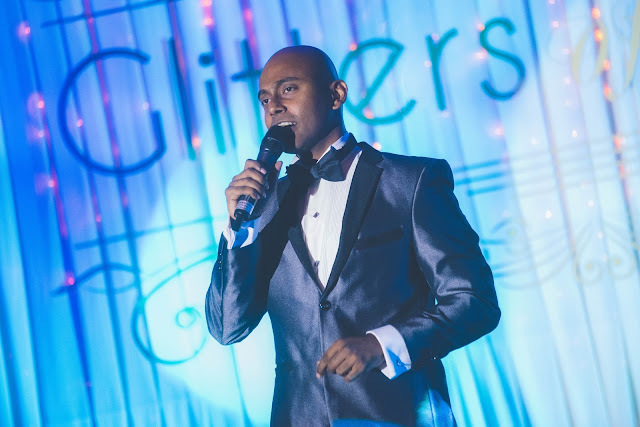 Terrence has been our faithful hosts for our fundraising events in the past 15 years, i.e. 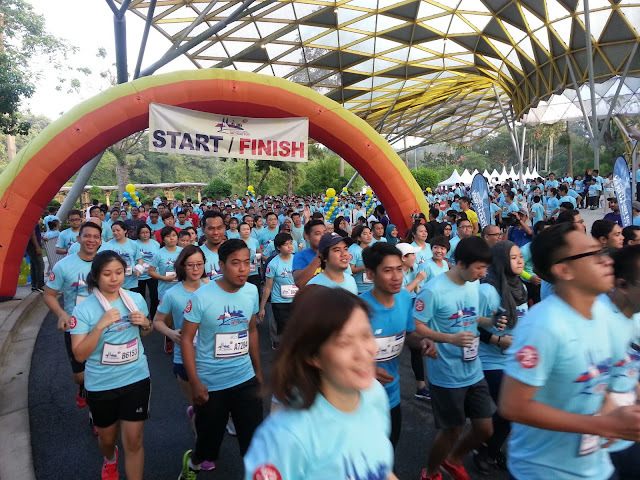 the 2nd and 3rd BOLATHON Charity Fun Run & Masquerade Walk. 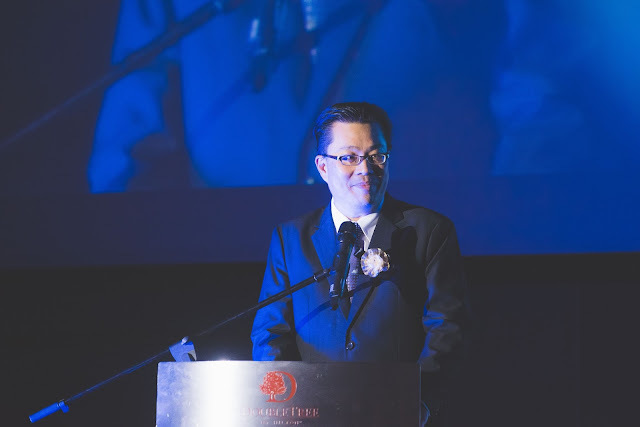 Our Country Director of HOPE worldwide Malaysia, Mr. Darick Wong delivered a touching and inspiring speech that gave the event a great atmosphere to start with. 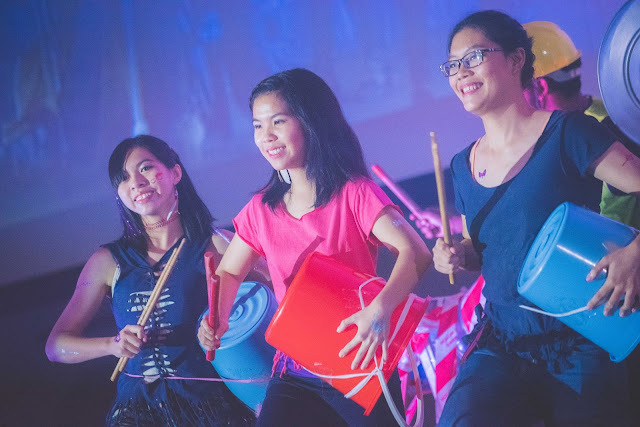 Then we had our Youth Volunteers who delivered a energetic STOMP performance to woww the crowd and followed with our Life-Changing Stories of our beneficial families documented by our volunteers. Thanks to our volunteers Alan Wong and Michelle Siaw who belted out great singing performances to entertain our fellow guests. 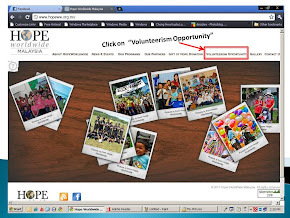 An appreciation video was shown to appreciate corporate companies who used to sign up as volunteers in our centre and also community programs. 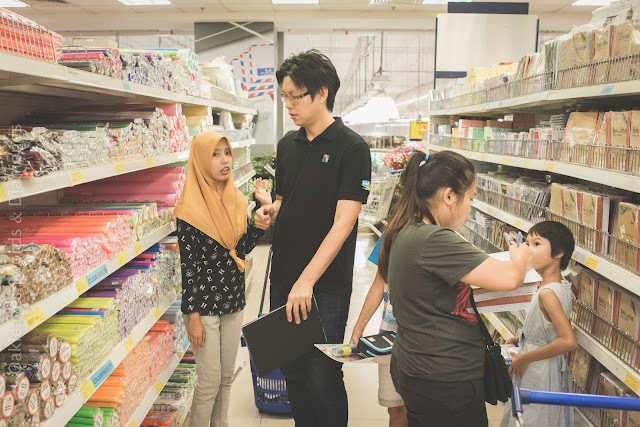 Among those who were our long term corporate partners were Starbucks Malaysia, Adidas and Astro Kasih, those photos brought us back to the memory lane. 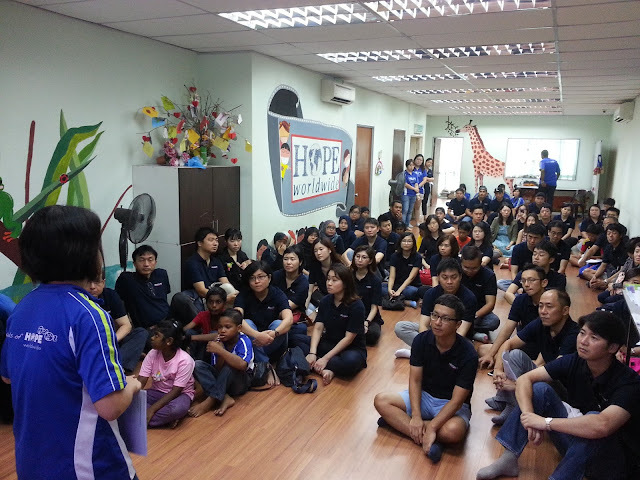 The corporate appreciation session came with a surprise singing performance by the full-time staff of HOPE worldwide Malaysia, Caesar Teh. 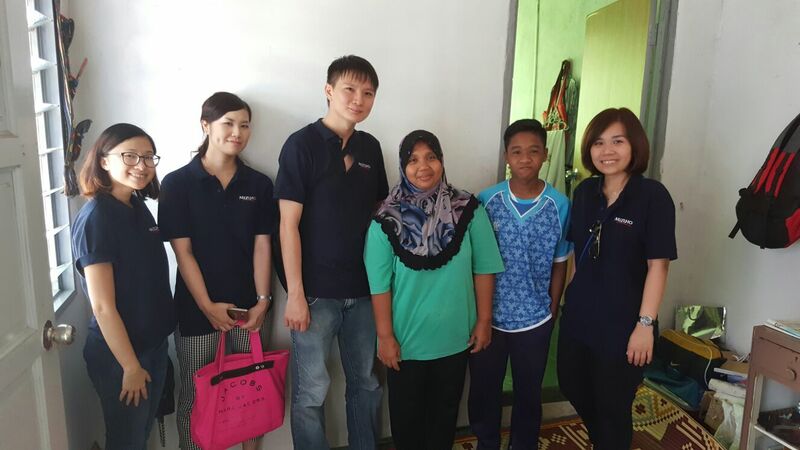 The emotional part of the event was Appreciation and Acknowledgement to our Clinic Manager, Sister Mona Chin, who served the Free Clinic since its establishment. An Portrait Video was shown to our guests, Mona shared her heartfelt feelings and personal experiences while serving the needy in the Free Clinic for the past 15 years. 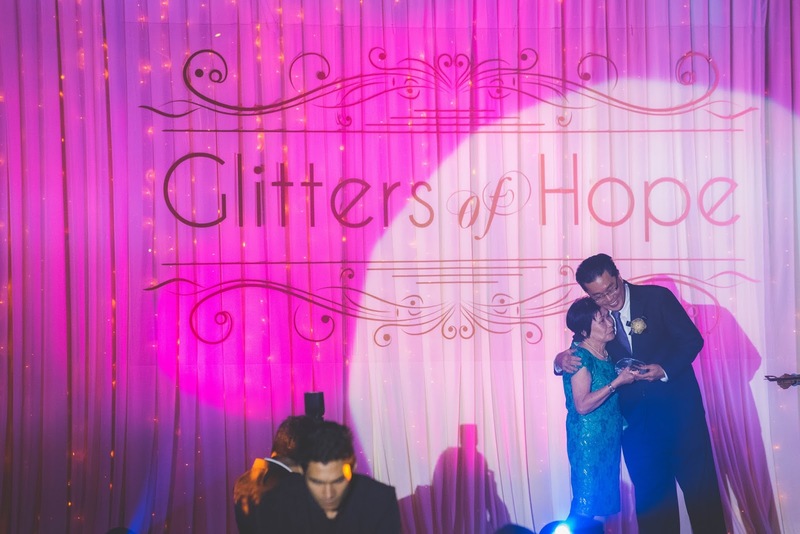 Right after the Video, Mona was invited to be on stage to receive a Plaque and a gift as acknowledgement for her dedication. 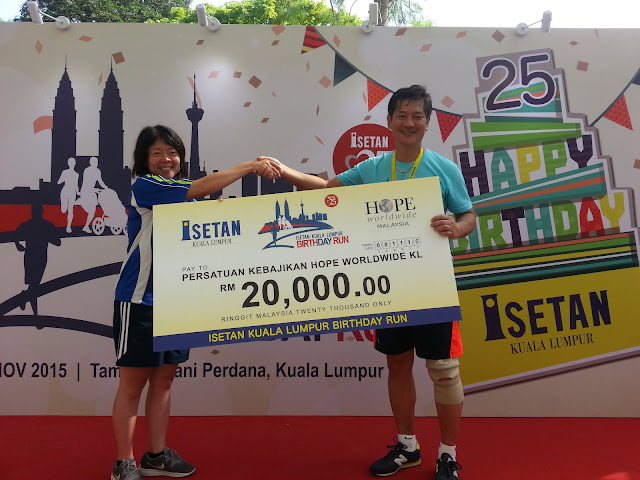 The highlight of the evening was no other than the Raffle Draw session, which guests were invited to purchase the raffles tickets, and all money collected are channeled to HOPE worldwide Malaysia. The Grand Prize was a 2D1N Stay at The St. Regis Langkawi worth RM 2,800.00, won by Ms. Pon Soh Fen, who is also a volunteer of HOPE worldwide Malaysia. Thanks to our Corporate Sponsors of the Charity Gala: Adidas Malaysia, Amanah Butler Malaysia, Astro Kasih, Bond Pricing Agency Malaysia, Discovery Overland Holidays, Gintell, Isetan Kuala Lumpur, iSupport Sdn Bhd, Mary Kay, R.E.A.L Education Group, Starbucks Malaysia, Sun Life Malaysia, Sakae Sushi, The Cups Corporation, and as well the fellow individual donors and volunteers. Without YOU, we won't be able to come thus far! 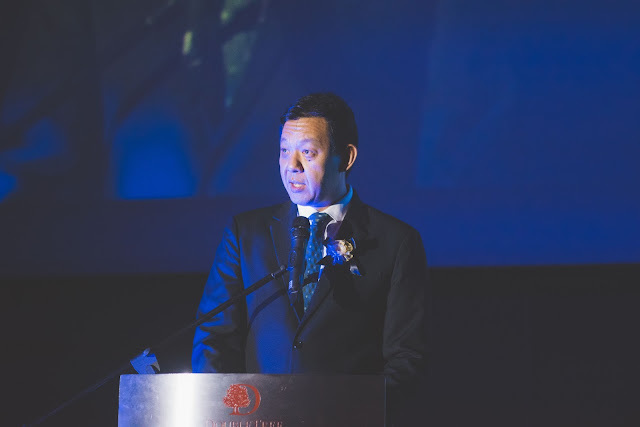 Thanks to DoubleTree by Hilton Kuala Lumpur for being the Greatest Support to us, thanks for your the incredible service and the delicious food for the Charity Gala! 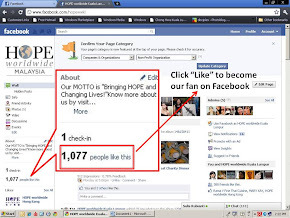 Together, we look ahead for more Anniversaries to come, as we sail on this crusade, to Bring HOPE and Change LIVES by creating bigger social impact towards our Nation.